Abigail Lyman comes in 5th at Collegiate Nationals representing Salt Lake Community College! 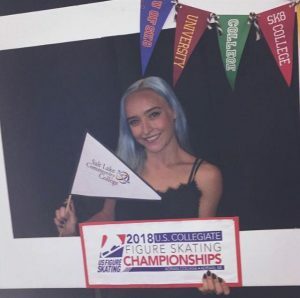 Congratulations to Abigail Lyman, representing Salt Lake Community College, on her 5th place finish in the Junior ladies event at the US Collegiate National Championships in Adrian, Michigan! This entry was posted in Announcements on August 6, 2018 by Erika Roberts.